If your journey takes you through Clapham Common you’ll notice something different about the Tube station. 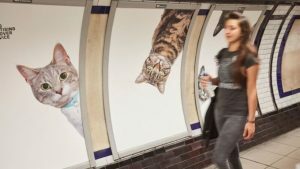 Adverts which, until recently, lined the escalators, ticket hall and walkways have been replaced with pictures of cats. A total of 68 adverts have disappeared after more the £20,000 was raised in a crowdfunding campaign. The aim is simple – to make Londoners feel good and think differently. The initiative is the first project from Glimpse, a new collective which aims to use creativity for good. 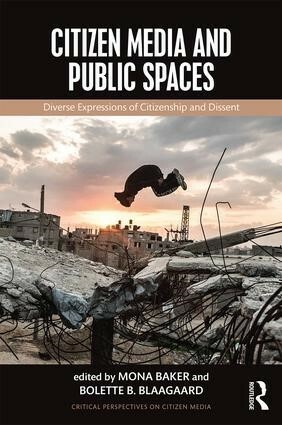 We tried to imagine a world where public spaces made you feel good. We hope people will enjoy being in the station and maybe think a bit differently about the world around them. Instead of asking you to buy something, we’re asking you to think about what’s really valuable in your life. It might not be cats, but it’s probably something you can’t find in the shops. The animals featured are stray cats from two rescue charities, Battersea Dogs & Cats Home and Cats Protection. Glimpse is already planning its next advertising ‘takeover’, and is inviting people to submit entries at CatsNotAds.org. The current frontrunner is ‘dogs’.